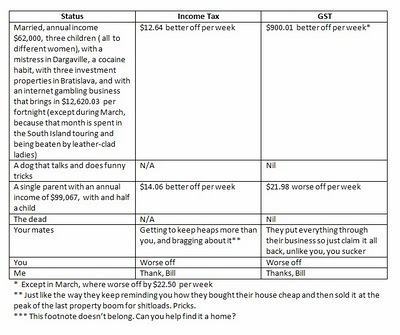 I’ve done some number-crunching to work out what affect the tax cuts will have. Below is a helpful guide.Ignore the other calculators. This is the only one that matters.